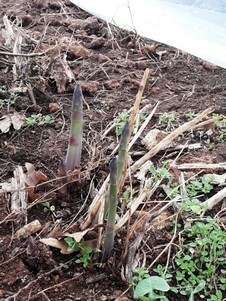 Among the last 5 years, 2018 was the worst for the Canino green asparagus. 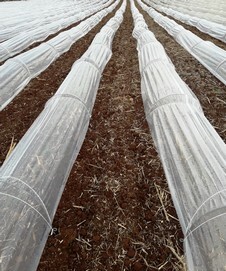 The cold weather and the frost waves completely blocked the harvesting for days, and, as a consequence, producers lost big quantities of production and revenue opportunities. Giancarlo Benella is the marketing manager of C.O.P.A. - the Associated Producers Horticultural Cooperative of Canino (Viterbo). He stated, "The open-field crops did not go any better: on the one hand, the late varieties entered production and, on the other hand, the produce concentration highly affected prices. 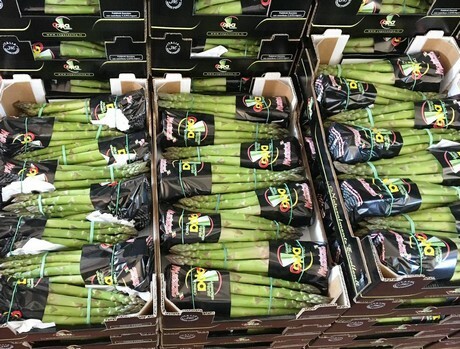 Additionally, the late Spanish produce entered production too thus causing an increased price drop in the Centre-Northern Europe markets, until the end of April". 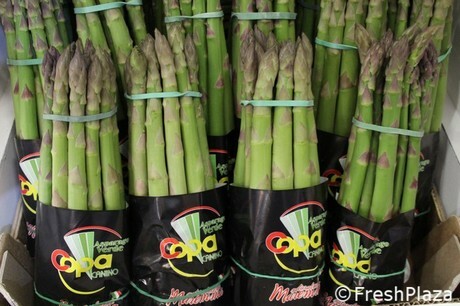 Benella continued, "We have just commenced harvesting the first asparagus farmed in heated tunnels. The recent cold water could strongly slow down the production. We must be optimistic about 2019. If last year's situation will occur again now, this crop would undergo a stop both in terms of farming and new plants. COPA is planning to invest in this crop, with the use of methods that move the harvesting up in February. 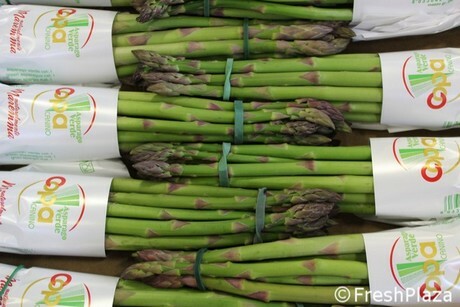 "Our novelty is the organic green asparagus, produced by some partner companies, which will be marketed from February to June. COPA will participate again in Fruit Logistica (Berlin, 6-8 February 2019) within the stand organised by ARSIAL on behalf of Regione Lazio (Hall 4.2 - Stand D-07). Many people will take part in the event: Ernesto Baglioni (president), Giancarlo Benella (marketing), Sergio Marcoaldi (technician and agronomist) and Fabio Fracassi (fruit and vegetable warehouse manager). Also, there will be a cooking show to further promote the produce by the partners from the Lazio region. With regard to the main challenges Italian companies will face on international markets, Benelli said, "The first thing is the supply: it is important to start early and end late. In this way, it is possible to cover the entire marketing period. With regards to asparagus, it is crucial to start in February already and to end in June (in some countries). This goal could be achieved only through investments in methods and varieties suitable for the territory". According to the COPA marketing manager, the Italian system is very outdated both in terms of organisation and supply concentration. Too many companies market individually, thus weakening the entire national supply chain. The good name loses its meaning, especially in terms of revenue as Italian produce prices are usually higher than local products in the international markets (France, Germany, UK, the Netherlands, and many more). Benella concluded, "In the future, it will not be possible to compete with all these scattered plans".